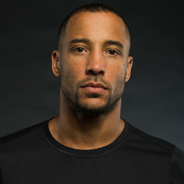 Newcomers Marcus Filly and Margaux Alvarez edged out CrossFit veterans Pat Barber and Annie Sakamoto. "There is a guy out there who wants it bad, but hopefully I want it more," Pat Barber said. 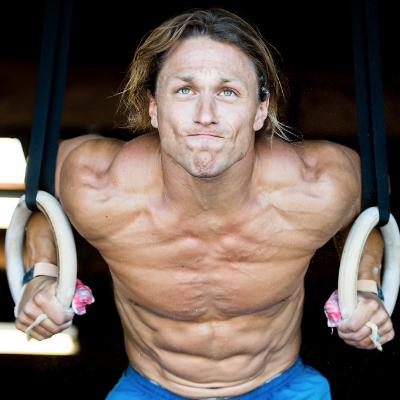 Some new faces are headed to the 2013 CrossFit Games. When the dust cleared after a hard-fought three days, newcomers Marcus Filly and Margaux Alvarez edged out CrossFit veterans Pat Barber and Annie Sakamoto. They aren’t the only first-time individual Games competitors. Garret Fisher, Alessandra Pichelli, and Ashley Carriveau also earned a spot on the podium. It’s not just new faces who will be going to Carson in July. 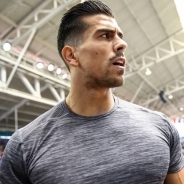 They’ll be joined by two very well-known CrossFit athletes who can show them the ropes: 2008 Fittest Man on Earth Jason Khalipa and Neal Maddox. Entering Event 7, Marcus Filly and Pat Barber were fighting for the fourth qualifying spot, separated by only one point. 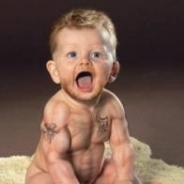 “I crushed it in practice. This is probably my best event of the weekend,” Barber said. “There is a guy out there who wants it bad, but hopefully I want it more,” he said. Filly was that guy, and he knew what he had to do. The rope-climb squat clean couplet started with most of the men finishing their two rope climbs and jogging to the barbell at the same time. As the men worked through their four squat cleans, Filly looked over at Barber, checking his progress. 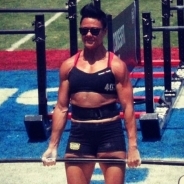 Fisher and Khalipa pulled ahead in the second round; they were the first two to the second set of cleans. Behind them, Filly and Barber were neck and neck, making it to their set of third cleans at almost the same time. Then Barber missed a 225 lbs. squat clean, allowing Filly to pull out ahead. Filly got in front of Barber by one rope climb. Meanwhile, Khalipa was making his move. While most of the men jogged to their barbells, Khalipa sped up and almost sprinted on his way to his last set of squat cleans. He didn’t need this win, but he wanted it. Fisher was right behind Khalipa, but then Fisher dropped the bar on his last set of cleans. Khalipa kept working through his squat cleans and won the event with a time of 4:15. It was his fifth, first-place finish of the competition. Fisher finished second with a time of 4:34. The race was still tight between Barber and Filly on the last set of cleans, but Barber missed another clean and dropped the barbell. Filly, seeing Barber drop the bar, struggled to hang onto his last clean. As he came up out of the squat, a look of fierce determination overtook his face. He knew this was his. Filly edged out Barber, tying for third place with Maddox with a time of 4:36, earning a ticket to the Games. Barber came in fifth. When Filly’s fans realized he was going to the Games, they went wild, reaching out to congratulate the TJs Gym Mill Valley athlete. After recovering, Barber walked over and gave Filly a hug, congratulating him on his victory. “I'm gonna go talk to my coach and thank him for everything,” Filly said after the event, “But right now I want a shirt that says ‘Proven’ to know it’s real." As for his plans for the next few weeks, Filly said he’s headed to New York. "I’ll hopefully find a good box to train at (in New York) and work hard the next few weeks and just have the greatest summer ever,” he said. Neal Maddox came in second overall, but right now he has bigger things on his mind. 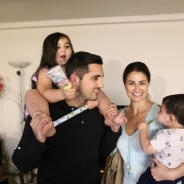 “I will spend all of my time now in the hospital with my mom,” Maddox said. “She's struggling in the ICU. This has been tough, very hard. I feel guilty for being here competing. This weekend has been a mental game. It's been a battle,” he said. Fisher, who finished third overall, said he doesn’t know what to feel. “But coming into this weekend, this is what I planned,” he said. “I placed seventh last year and ever since my goal has been the Games." "I'm going to take a couple days off and then just work hard,” Fisher said. “That's all there is to say, work hard." 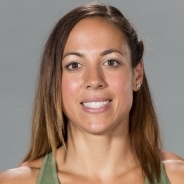 For the Leaderboard to change going into Event 7, Margaux Alvarez—who last year didn’t have a muscle-up—had to give the performance of her CrossFit career. Before Event 7, Alessandra Pichelli was in first, Sakamoto in second, and Ashley Carriveau in third. Chyna Cho and Alvarez were in fourth and fifth place respectively, both with 41 points. The rope-climb squat clean couplet is fast and heavy, so Alvarez would have less than five minutes to make her mark. “I am going to kill it in the last heat and stick to my plan,” Alvarez said before the event. “I’m gonna do my best and leave it all out there,” she said. 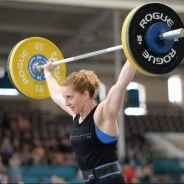 Sarah Hopping, who placed third in the Olympic trials as a hammer thrower in 2008 and started CrossFit four years later, took an early lead at the beginning of the event. She easily handled the 135 lbs. squat cleans and moved quickly up and down the rope. Hopping held her lead, but Alvarez was right behind her. She broke away from the pack on the third set of rope climbs, passing Pichelli, Sakamoto, and Oldroyd. Hopping, looking calm and focused, won the event in 4:39. Steadily cleaning the 135 lbs. bar four last times, Alvarez took second with a time of 4:48. As one of the shorter athletes, Sakamoto knew this event was going to be a challenge. She hoped to hang in there, but as she fell behind, her chances of going to the Games slipped away. Sakamoto finished the event in 16th place, putting her in fifth overall. Even though Hopping won the event, she finished in fourth overall, one point behind Alvarez. “I did everything I could do,” an emotional Hopping said after the event, “but I wish I could have beat Margaux on the snatches (in Event 4). From here I go back to work and run my gym,” she said. “My goal was top three,” Alvarez said after learning she is going to the 2013 Games. Carriveau, the second-place finisher, said she came into the competitions just wanting to hold her own. “I knew going into Event 7 that I just had to be confident in myself,” she said. “This week I'm going to take a few days off and sleep in, then I'm going to get right back to training hard. This is very surreal." 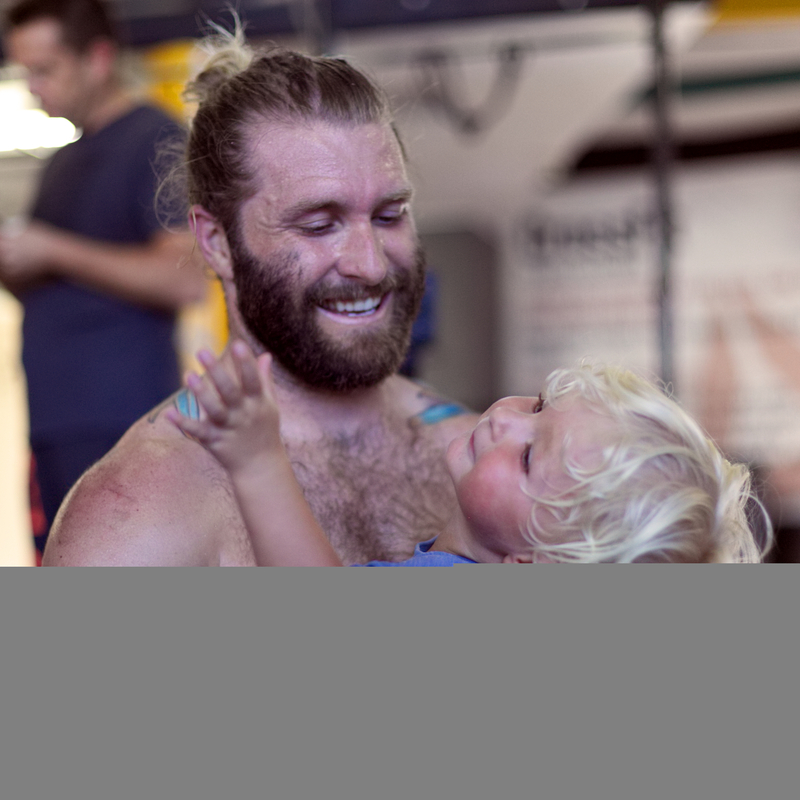 CrossFit 808 and Diablo CrossFit Anejo have been trading back and forth between first and second-place finishes for the last two days, but in the end, CrossFit 808 came out on top. They won Event 7 and the NorCal Regional competition. Diablo came in second overall and Rocklin CrossFit finished in third. 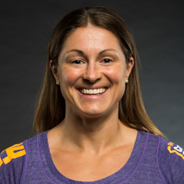 They will all compete at the CrossFit Games in July. The final event saw all six team members on the field, climbing the rope and working through heavy squat cleans (225 lbs. for the men and 135 lbs. for the women). All team members completed three rounds, but the number of squat cleans increased for each male-female pair. Before the event, Liz Stewart of Diablo CrossFit said the plan was to keep moving forward and stay strong. 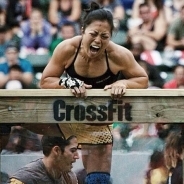 Elyse Umeda of CrossFit 808 said they had some last-minute changes before this event. “During warm-ups we actually switched the order of our guys (because of) some low back issues,” Umeda said. 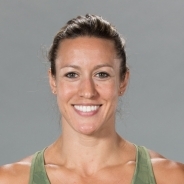 The heavy cleans were a struggle for some of the women on these top teams, but the CrossFit 808 women completed their squat cleans or unbroken or as quick touch-and-go reps.
“My background is basketball,” Brandy Richardson of CrossFit 808 said. 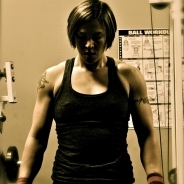 “Once I learned the technique on CrossFit workouts I find myself embracing each workout. We are a strong team of top athletes with very athletic backgrounds that allowed us to dominate,” she said. In the end, it came down to Whitney Heuser of CrossFit Diablo and Kyla Evers of CrossFit 808. Evers was faster on the squat cleans and finished with a time of 15:35. Diablo CrossFit finished second with a time of 15:53. 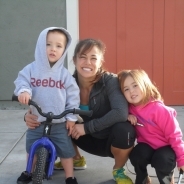 The surprise third-place finish went to CrossFit West Santa Cruz. PJ Rubel said although they went back and forth on the order for the event, they ended up sticking to the original plan. “We decided to have David (Millar) on the four (squat cleans) because he was looking good in warm up,” Rubel said. Millar finished third in Northern California in the 2013 Open, ahead of Fisher and Barber, but chose to go team. “We wanted first, but third's not too bad, it was our highest finish of the weekend. We didn't have a time goal for our finish, just go all out,” Rubel said. Umeda said she’s thrilled about her decision to go team instead of individual. “Competing as an individual prepped me for team events. This is way more fun and a lot less stress. It’s just way more enjoyable,” she said.